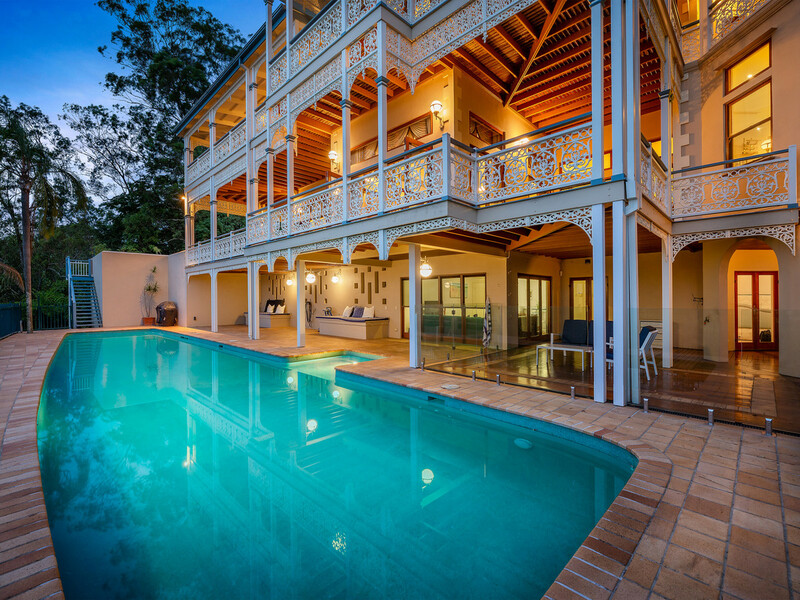 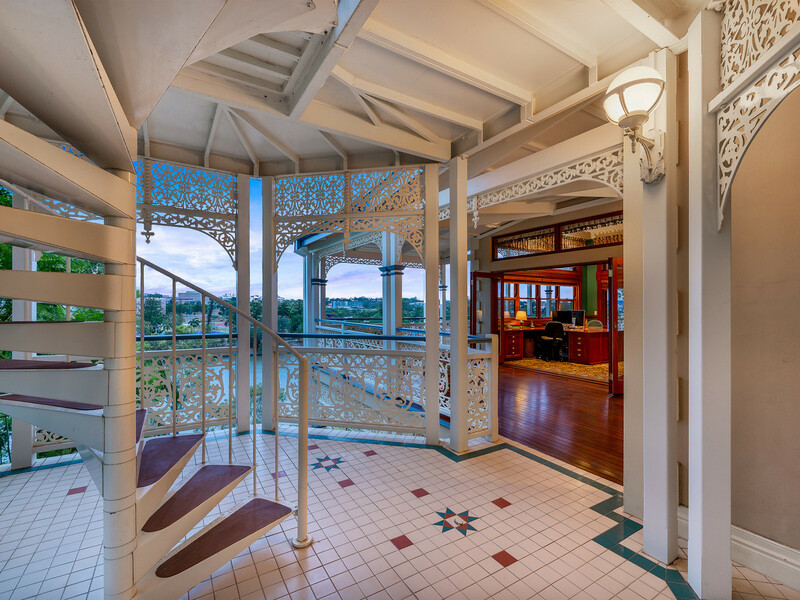 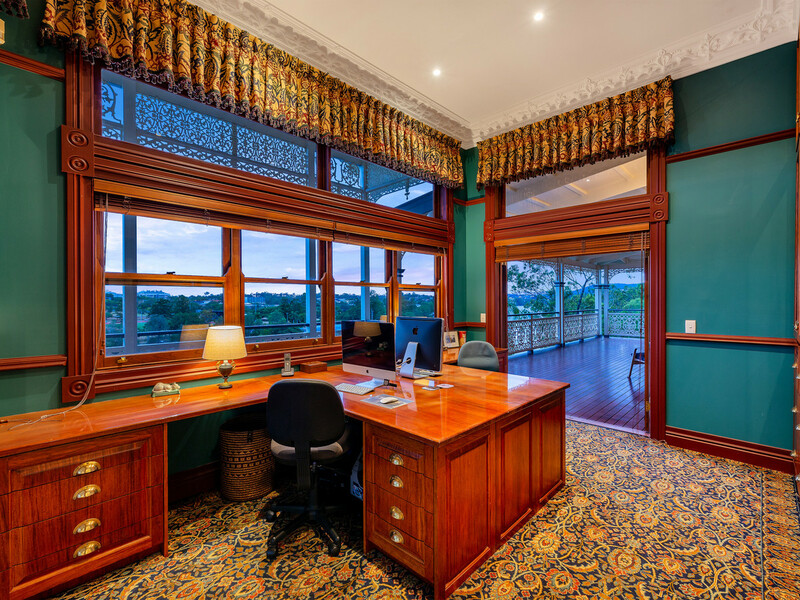 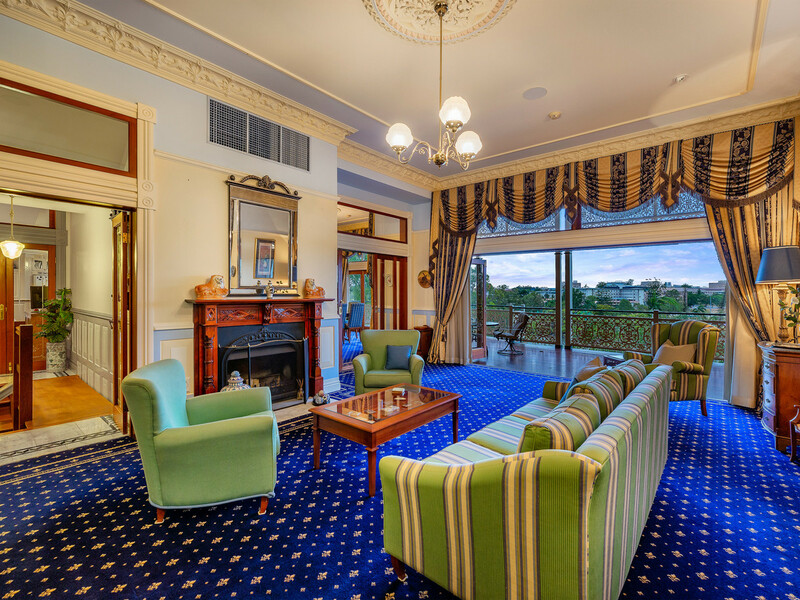 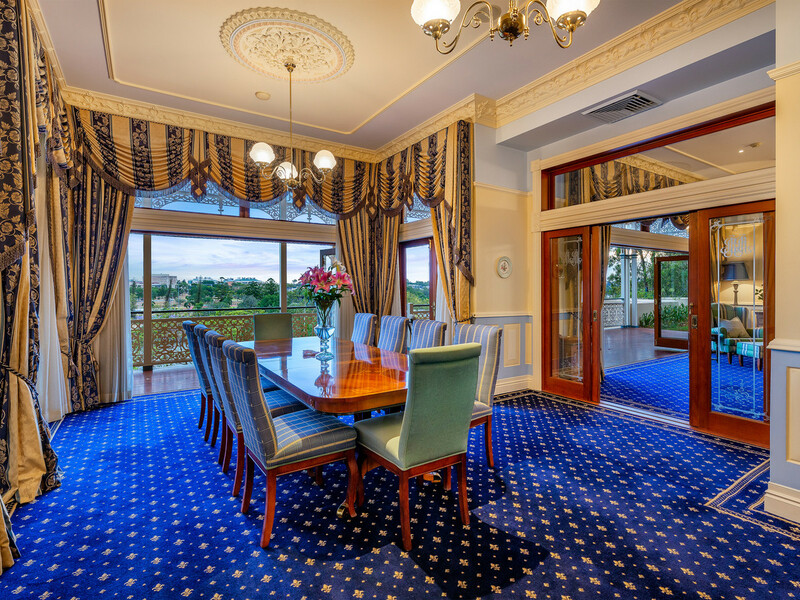 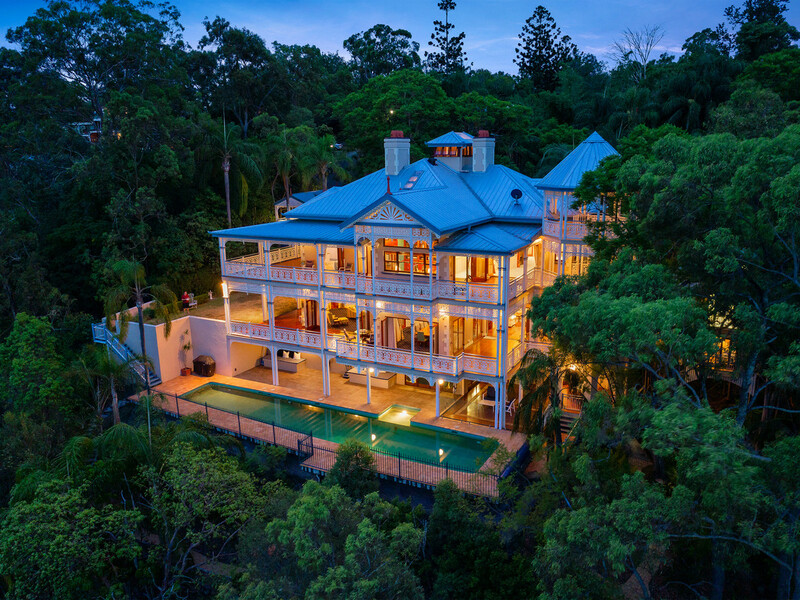 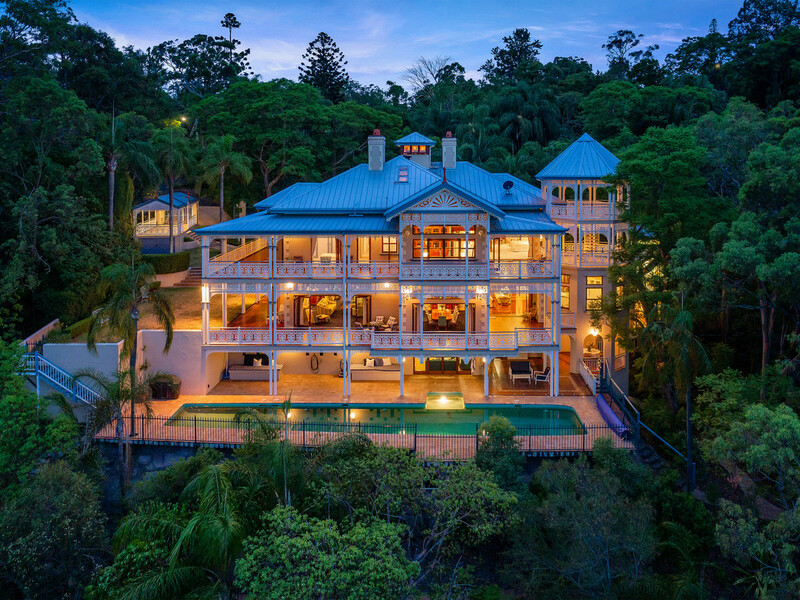 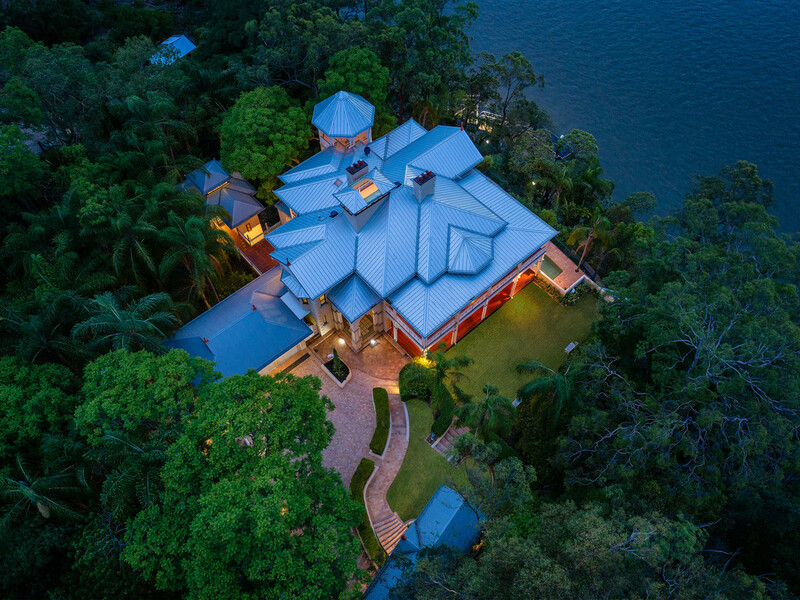 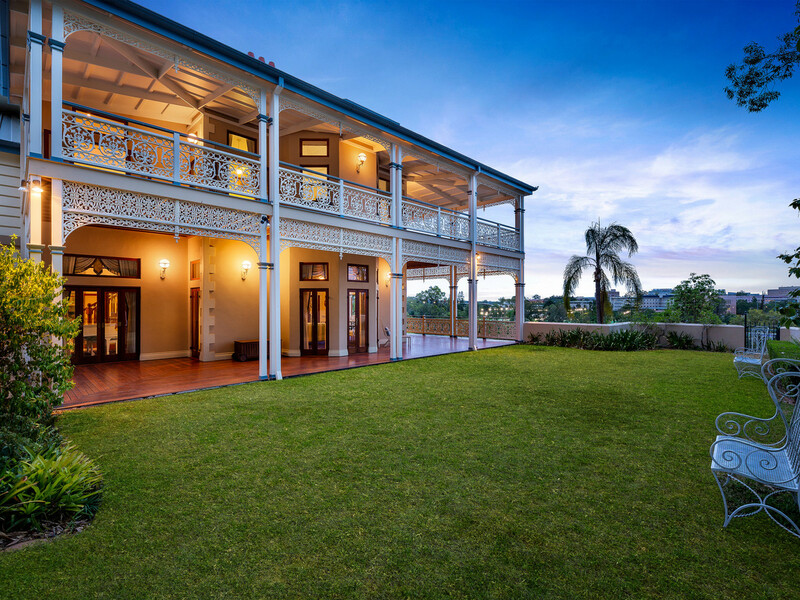 This waterfront mansion is considered to be one of Brisbane’s most iconic homes, showcasing flawless quality and timeless finishes throughout. 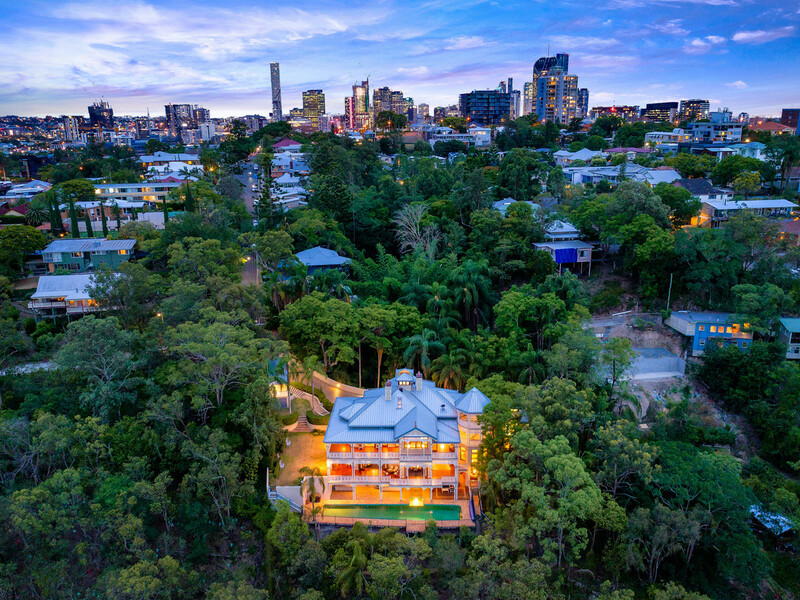 Positioned on an elevated 3923sqm flood free parcel located less than 2.5km from the CBD. 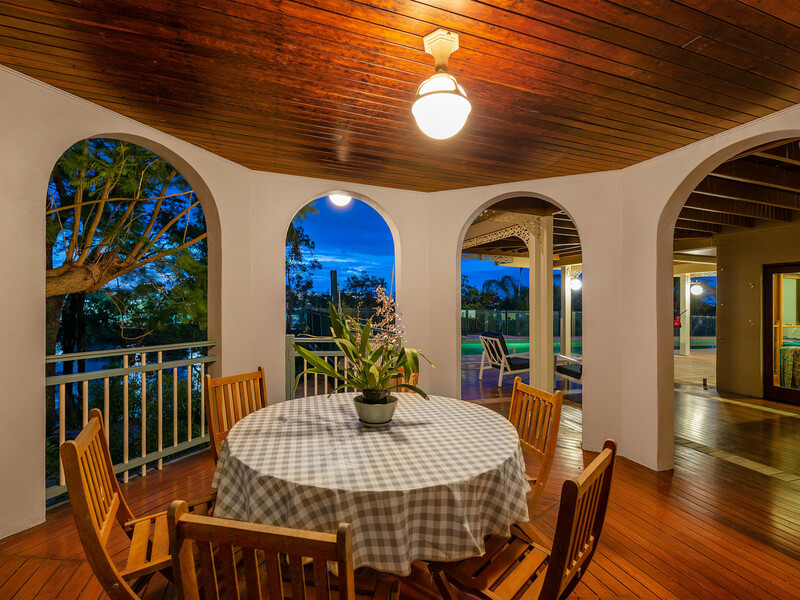 Holding a piece of history, this location once hosted General Douglas MacArthur’s home during the Pacific campaign. 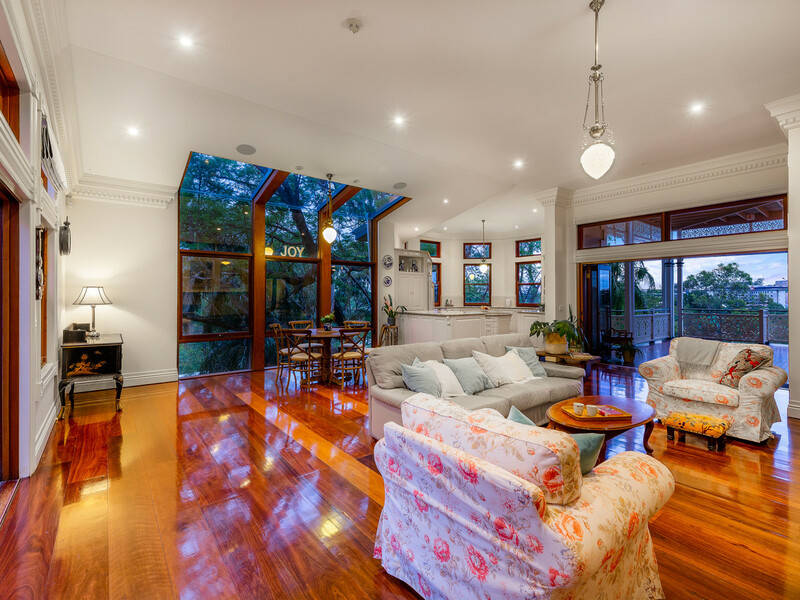 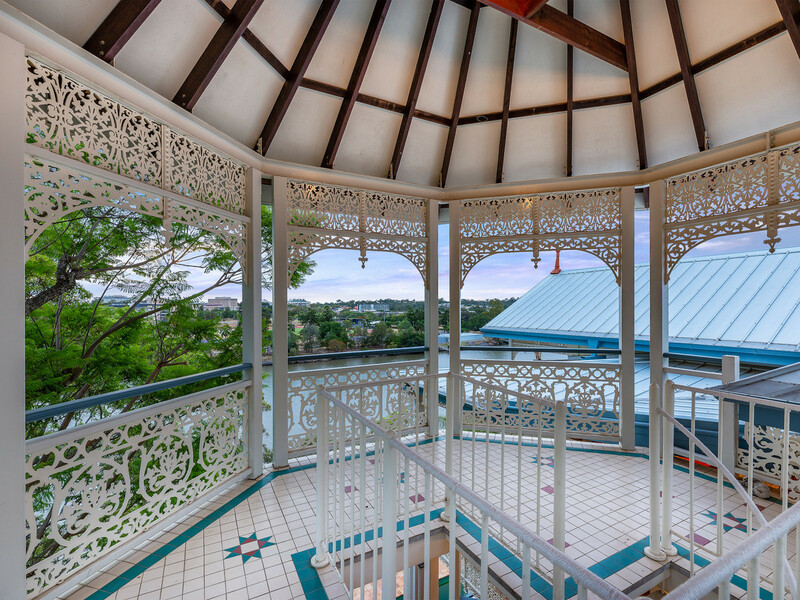 A stunning private estate, filled with charm and character that sprawls over three storeys of living space. 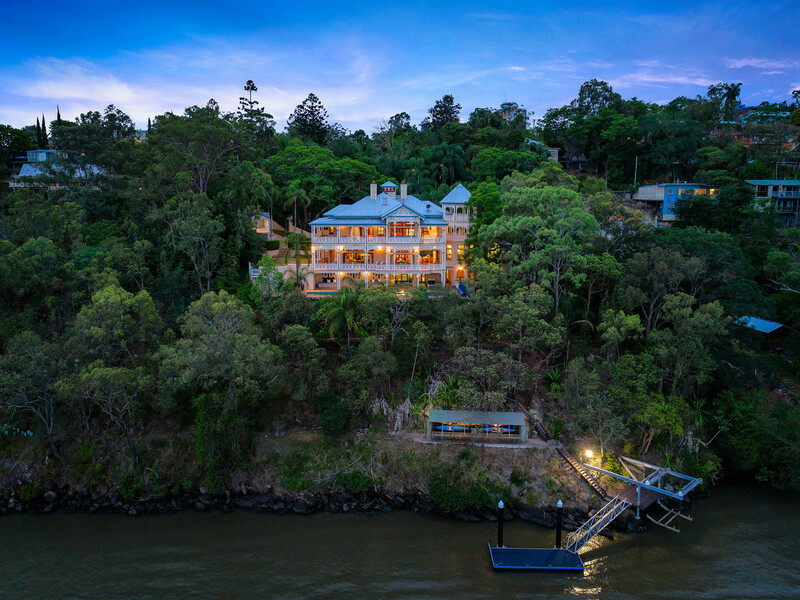 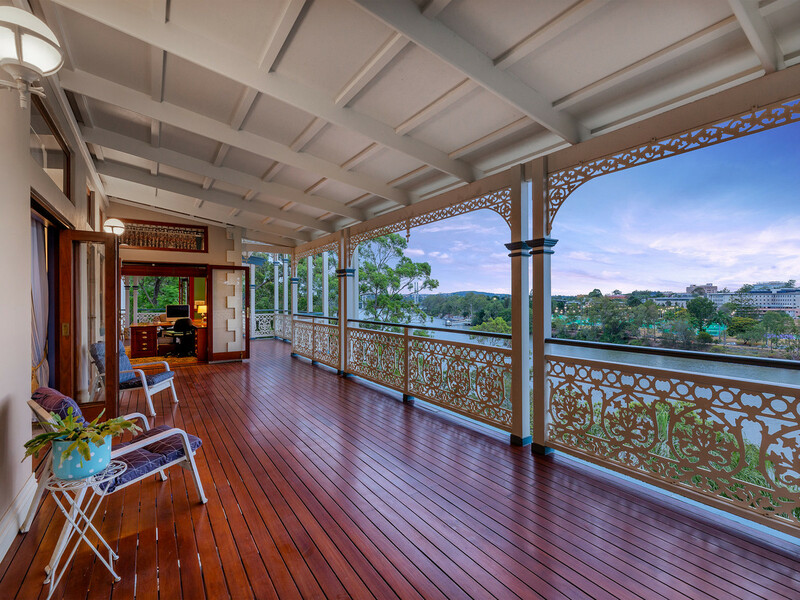 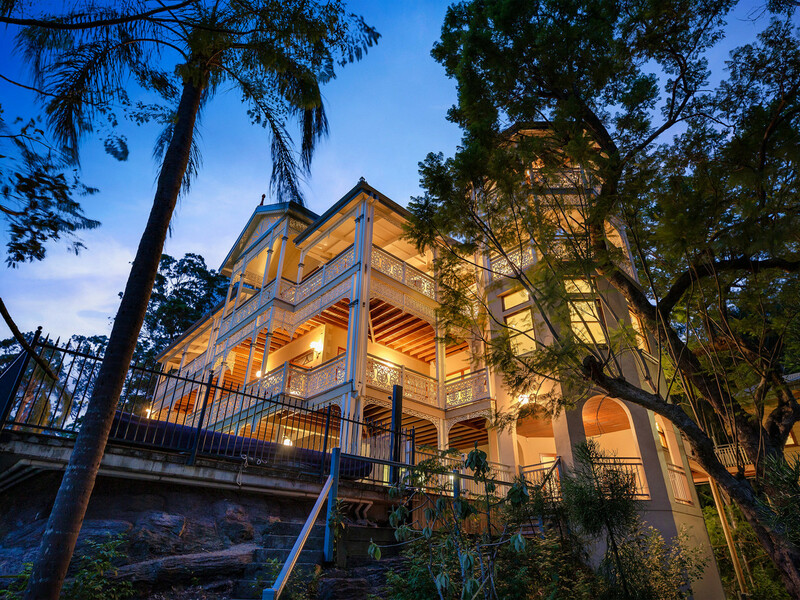 Inspired by the Queensland lifestyle, this home has multiple living areas that lead out to timber decks offering panoramic views of the Brisbane river. 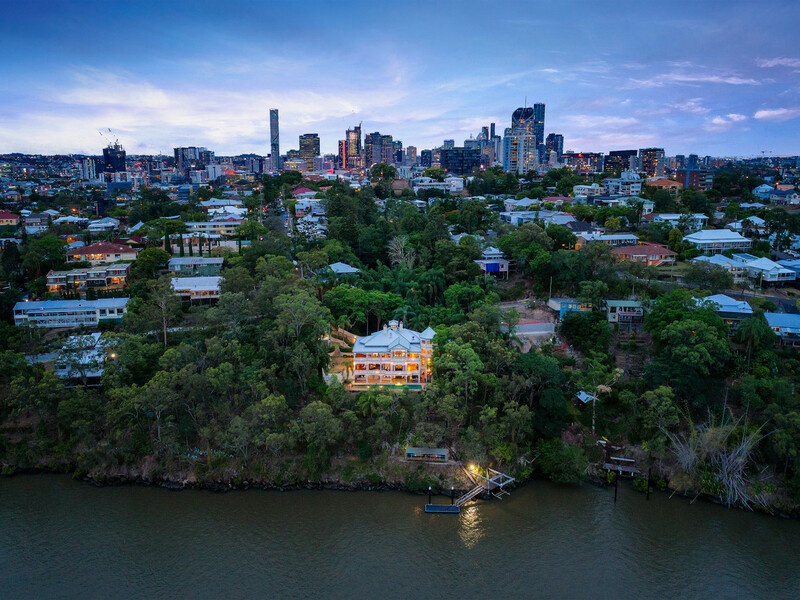 Holding 60 metres of river frontage, the opportunity is only on offer to the existing landowner to purchase another 30 meters of river-front land currently owned by the State government. 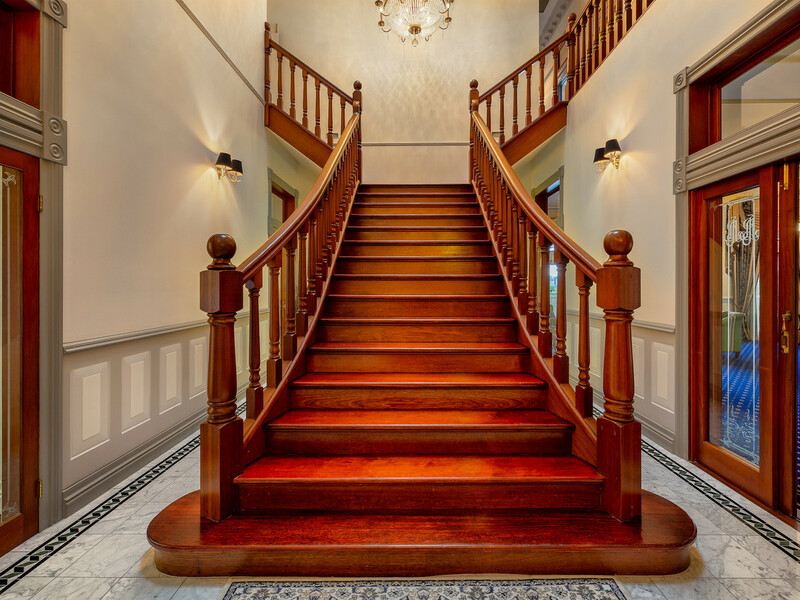 Upon entry you are greeted with a grand timber staircase showcasing the luxury this home truly has to offer. 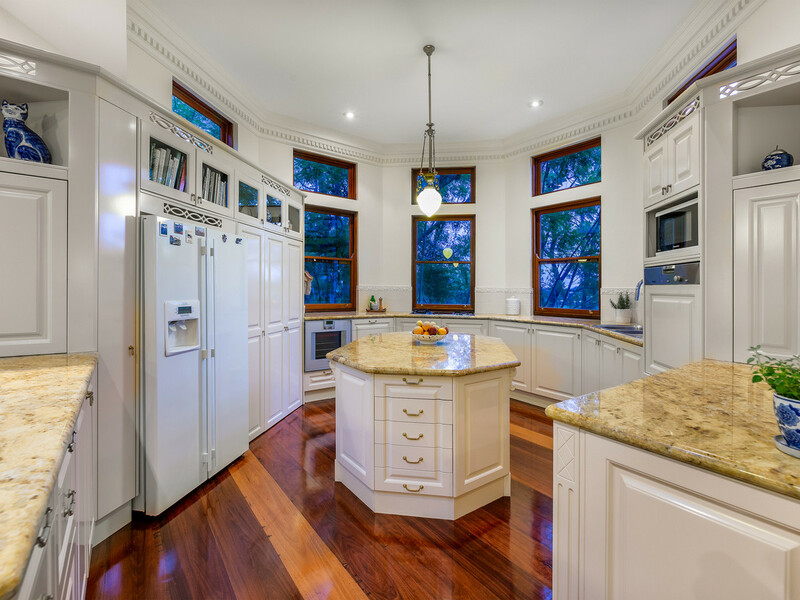 On this level is the gourmet kitchen completed with granite countertops, gas Gaggenau cooktop/oven, and Miele appliances. 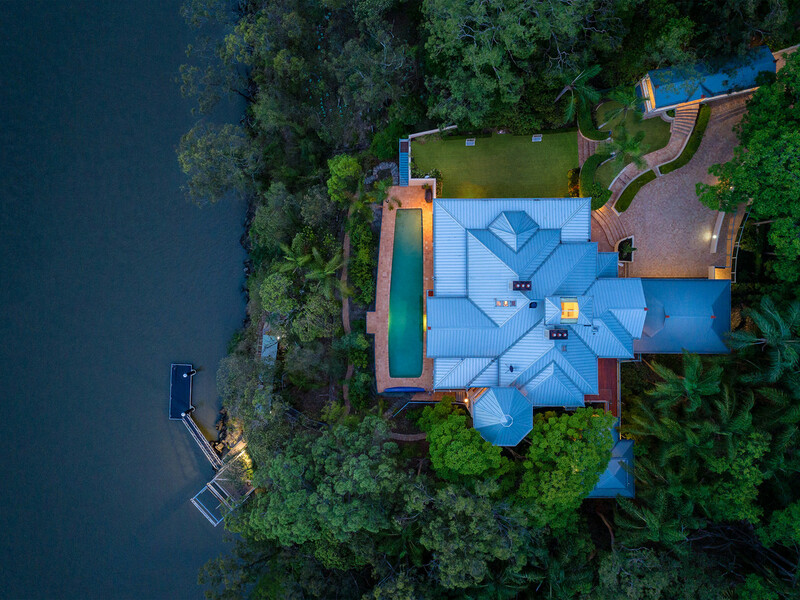 Multiple living and dining areas on this level lead onto the outdoor living areas which offer breathtaking views of the Brisbane River. 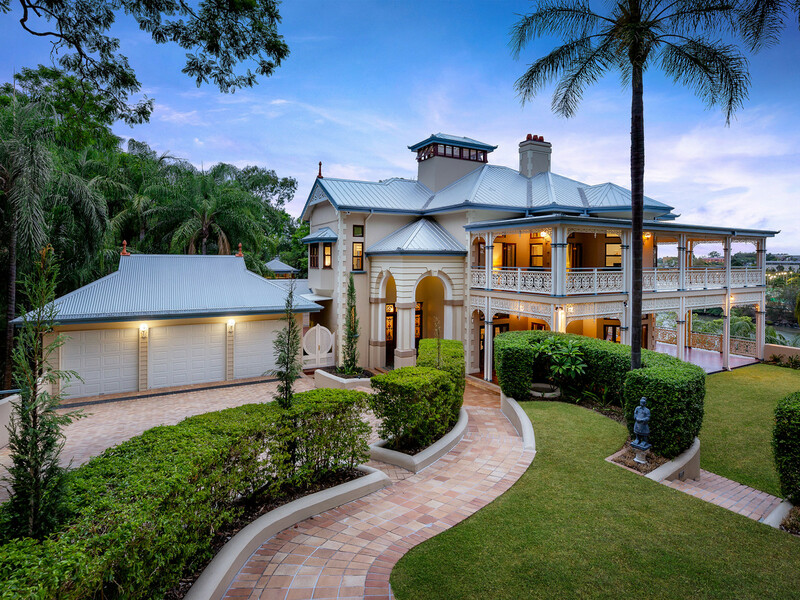 Two separate fully self-contained guest quarters are amongst the many features this home has to offer. 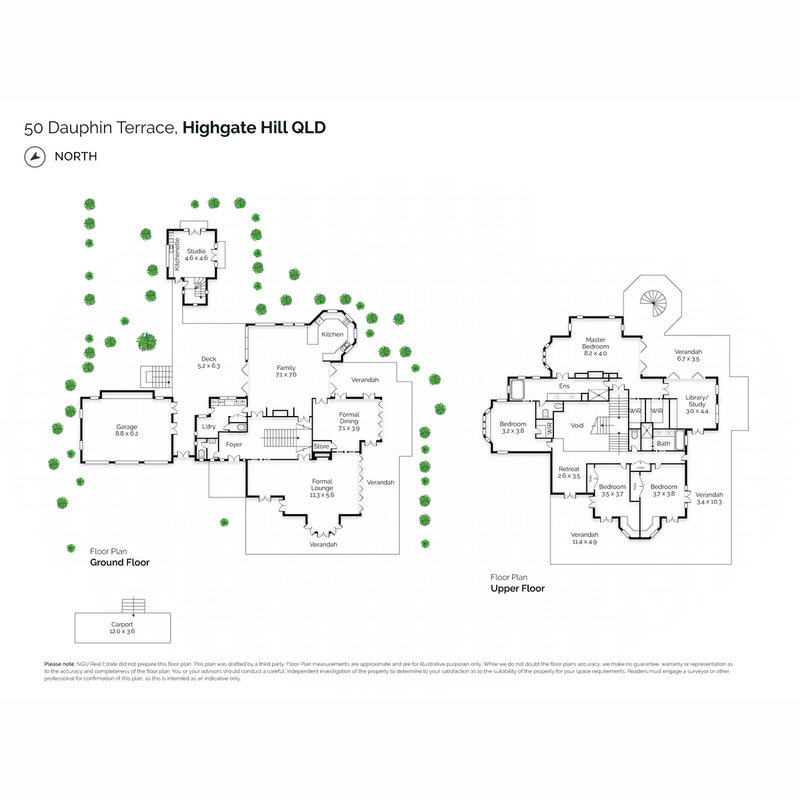 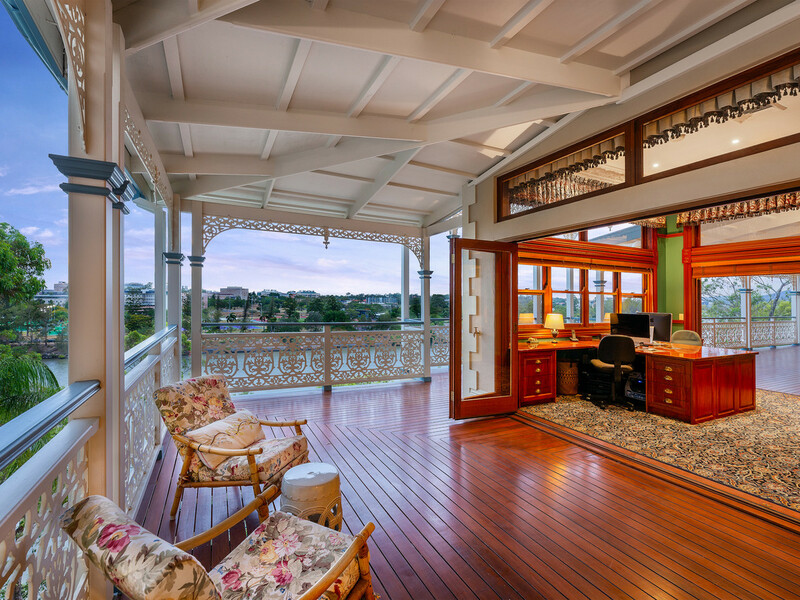 The upper level consists of four of the seven bedrooms, study/library, a retreat and access to the large wrap around veranda. 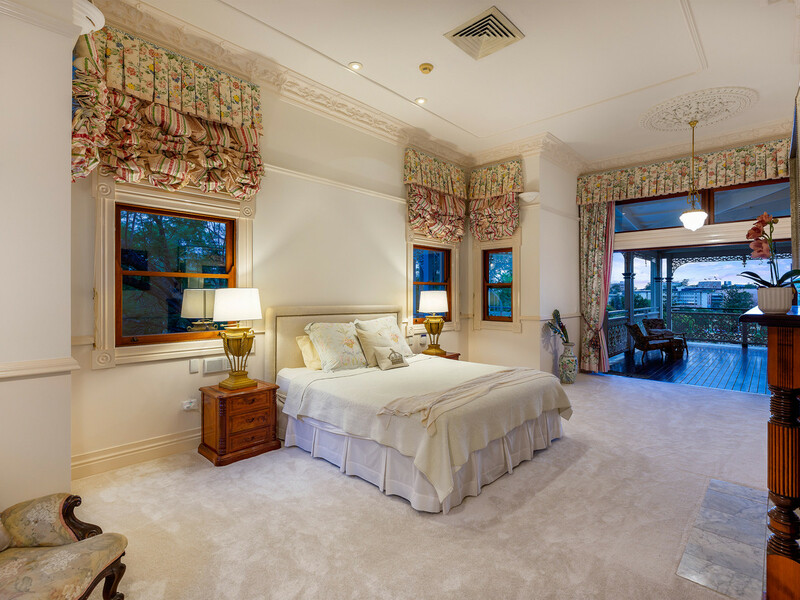 The lower level of the home includes one of the two self-contained guest quarters which consists of two bedrooms, bathroom, laundry, kitchen and access to the veranda leading out to the 23-meter gas-heated swimming pool. 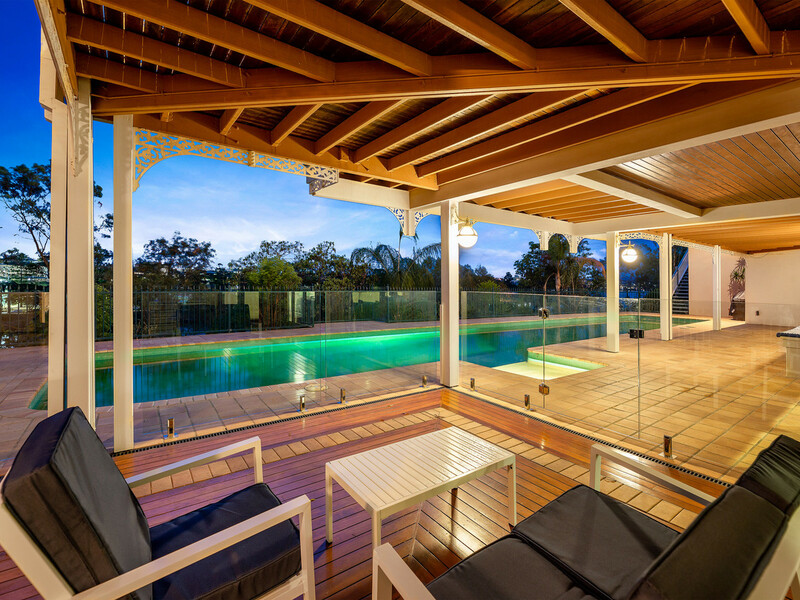 Designed and built to last several generations this home was constructed to the highest standard using rendered core filled concrete blocks, galvanised steel and oversized steel beams. 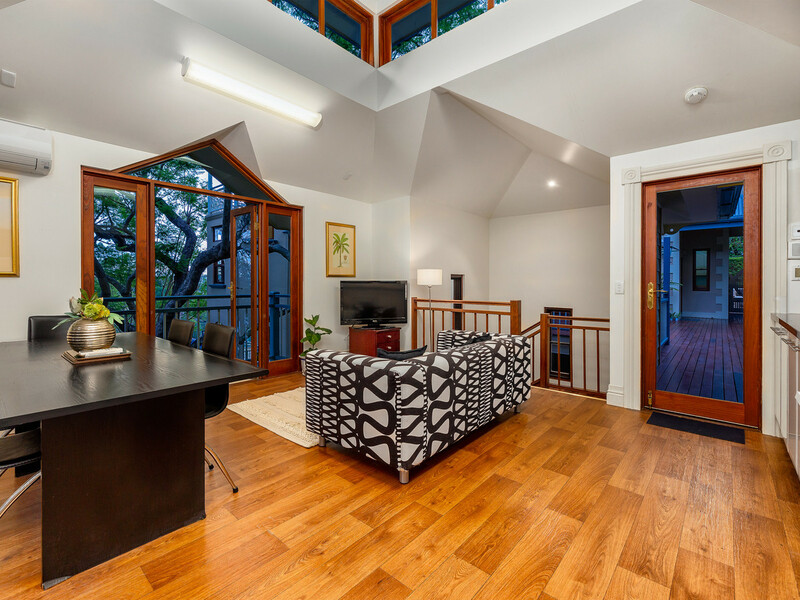 This home has recently undergone some renovations which include fresh paint inside and out, new chimney pots fitted and an entirely new roof installed. 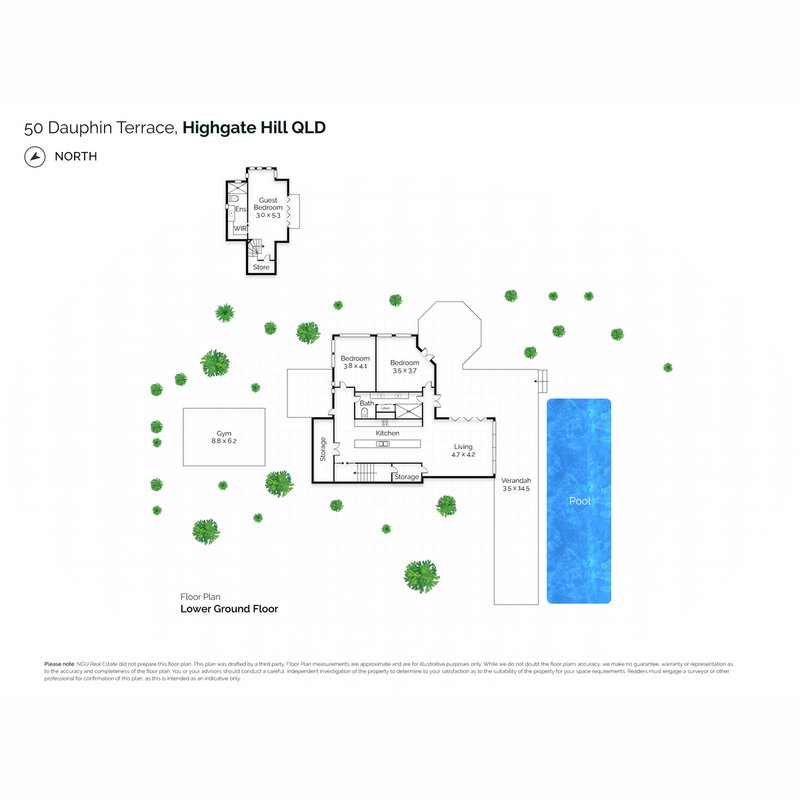 Please contact Emil Juresic of NGU Real Estate for further information on this outstanding home. 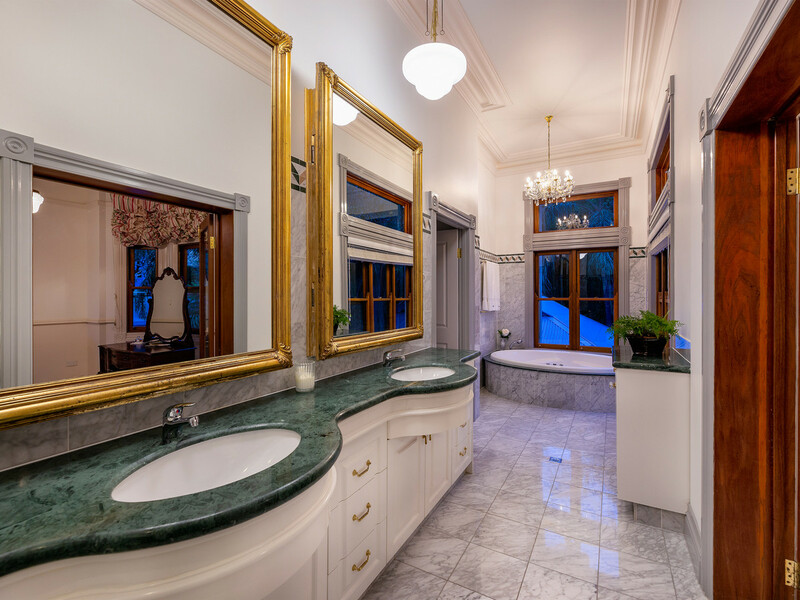 Timeless masterpiece mansion with two self-contained guest quarters.